Television Journalist Samantha Brett is the author of 8 books, columnist and news reporter & occasional presenter for the Seven Network featured regularly on Sunrise and 6PM News. Prior to that, Samantha filed reports for Sky News, CNN, CBS and wrote the very popular “Ask Sam” column for the Sydney Morning Herald for six years. 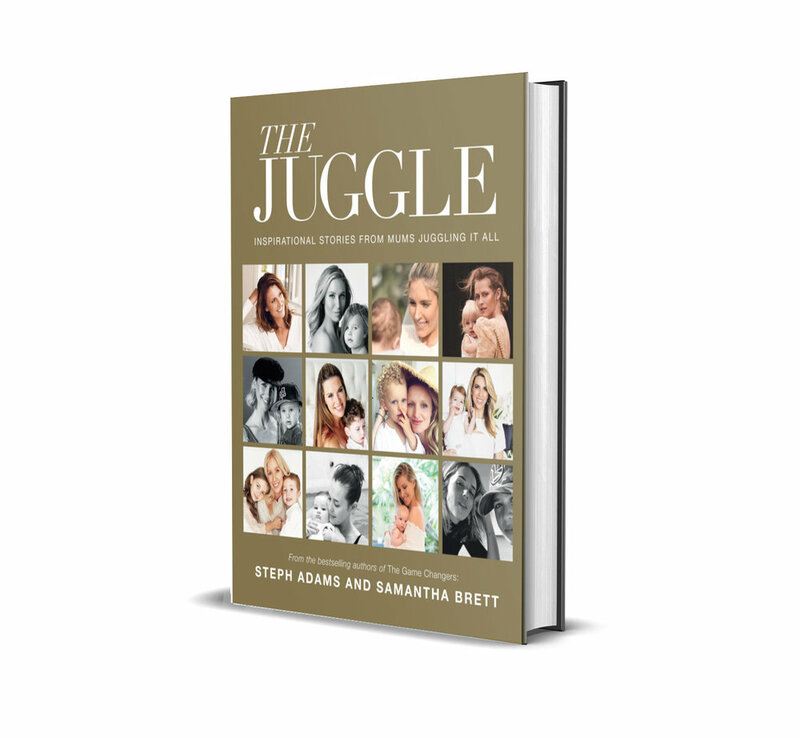 From the Authors Of The Bestselling “The Game Changers” With the Duchess Of Sussex, comes “The Juggle” - a modern mum’s manifesto featuring candid, real and raw stories for mums by mums, with the hopes that sharing these stories will inspire, uplift and acknowledge the juggle struggle is real... and we're all in this together. These days the pressures on modern women is enormous. We are expected to do it all, all at the same time. But as many women know all too well, juggling career, families, kids, climbing the corporate ladder (or even simply holding down a job!) with the kids in tow, isn’t as easy as it looks. The Juggle is filled with compelling and courageous stories from women you know and love, revealing their struggles with their own juggle of career, kids, family and everything in between. The Juggle brings to you raw and candid interviews with dozens of high profile women including Lisa Wilkinson, Megan Gale, Teresa Palmer, Tammin Sursok, Megan Hess and many more. These mothers let you into their personal lives, many for the very first time, telling the stories of “The Juggle” with honesty, warmth and wit, with the hopes of helping mothers around the country and the globe. The Juggle also features expert advice and guidance on dealing with postnatal depression, post baby-body blues, nutrition for your kids and making time to nurture yourself too with delicious recipes both you and the kids will love.